1 x Purple Printed Trolley coin with our white charity hands & feet logo & “HemiChat” wording. 1 x Traditional purple “stroke awareness” colour. Iron Stamped with soft enamel 50*29mm, 1mm thick. 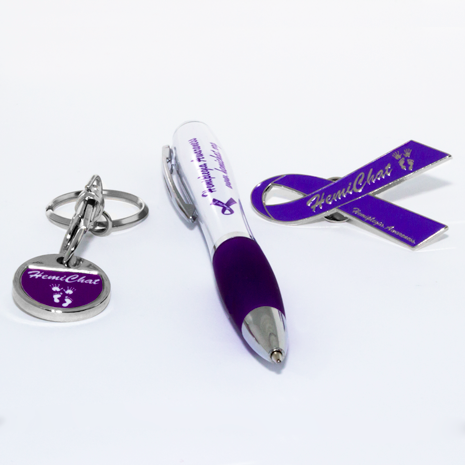 1 x silver, purple & white contour black ink pen including “Hemiplegia Awareness”, HemiChat charity logo & website address.